This level is almost same to previous level but you will need different tricks to complete this level. Their will be 8 grill box with candies that you should try to break first and also try to make special candies like striped or wrapped candy. After you should try to completely break chocolates so they wont increase and then break jellies. 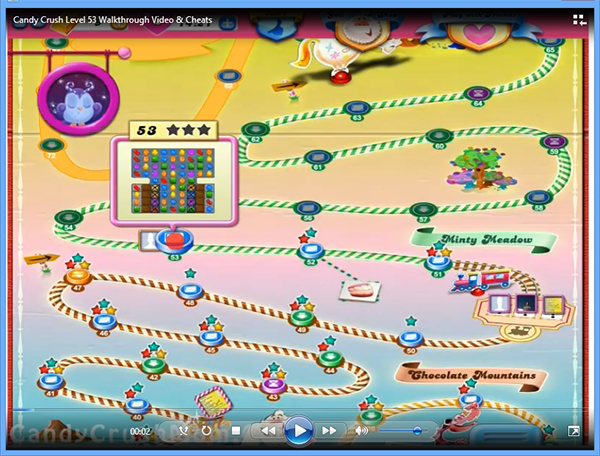 You must need to make special candy to reach requirements like striped candy that you can make by combing four same color candies or colorbomb by combing 5 same color candies or wrapped candy by making ‘T’ or ‘L’ shape and try to combine with each other to break so many jellies and candies. We completed this level with 71760 score withing 27 moves and remaining moves converted to fish booster that help to add more points to score board. Oh My God! For some reason I pblarboy delete your mail or pblarboy was in wrong folder but I can’t find your mail! I’m so sorry! Is any possibility re-send back to me? Thanks!